Here it is the end of September and will I have time to revisit Corbett Lake which I haven’t seen since 1996. Four days into my seven day vacation at Mono Hot Springs located within the Ansel Adams Wilderness. The mild fall weather changed! From sunny, warm and clear to storm clouds and rain and even snow above 8,000 feet. 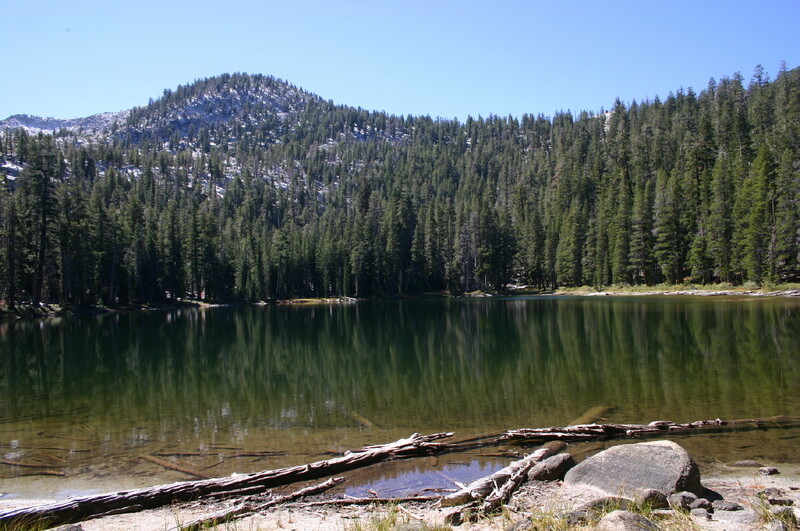 Corbett Lake is located south of Mono Hot Springs at an elevation of 9,070 feet. Since this snow storm was the first of this fall season, I knew the snow would melt at this elevation before noon the following day. If any snow remains, it would be patchy. The trailhead is located out of view from the road at the High Sierra Ranger Station. Follow the dirt and rock road next to Basillo Creek with a high clearance vehicle. You’ll pass an old Forest Service Corral before continuing in elevation to the trailhead at 7,400 feet. This is an easy trail to follow as it passes through this old growth forest. Twenty minutes into the hike, just right of the trail is an ancient Incense Cedar Tree with a girth of 12 feet or more and stands around 70 feet. From this point the trail starts climbing in elevation with the help of nineteen switch back trails. While climbing in elevation the views north across this vast canyon that for centuries the San Joaquin River helped cut. Easy to recognize above the dense forest are locations such as Devils Table, Devils Bathtub, Mary’s Mountain and Edison Lake. But there are many trails concealed by the thick old growth forests. Once completing the 19 switch backs I arrived at a run-off stream to the right of the trail. Now if history is part of your hiking experience; the flat area that crosses both the trail and stream is the pathway that the sheep herders drove their sheep in the early 20th century. Previously I have followed part of this forgotten pathway and have found abandoned fire pits and markers. Do not attempt this side adventure unless you have cross-country skills and take someone with you who is familiar with this area. Once on the main trail again I passed the sign introducing me to the John Muir Wilderness. Continue following this trail and after hiking a total of three miles and to an elevation of 9.070 feet, the beauty of Corbett Lake comes into view. At first glance its lake water is visible through the tall pine trees. For those fishing enthuses this lake is ideal for fishing with a 360 degree fishing access. On its western shore are campsites which are flat and ideal for over-night camping. In previous years I’ve stayed over-night on two separate occasions to allow myself time to visit and photograph the neighboring Cummingham and Givens Lakes. Once again two more beautiful mountain lakes nestled into canyons created by nature centuries ago. If your intentions are day hiking; this moderate/strenuous roundtrip adventure should take around five hours for the average hiker. But if your intentions are to visit and fish Cummingham and Givens Lake; an overnight stay is recommended. This will be an excellent adventure to file on your 2015 list of places to visit. See you on the trail? Tony Krizan is the Outdoors Activities Staff Writer for the Sierra Star Newspaper, Oakhurst, California. 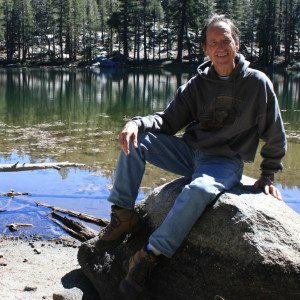 He has written over 240 articles about hiking in the Sierras. 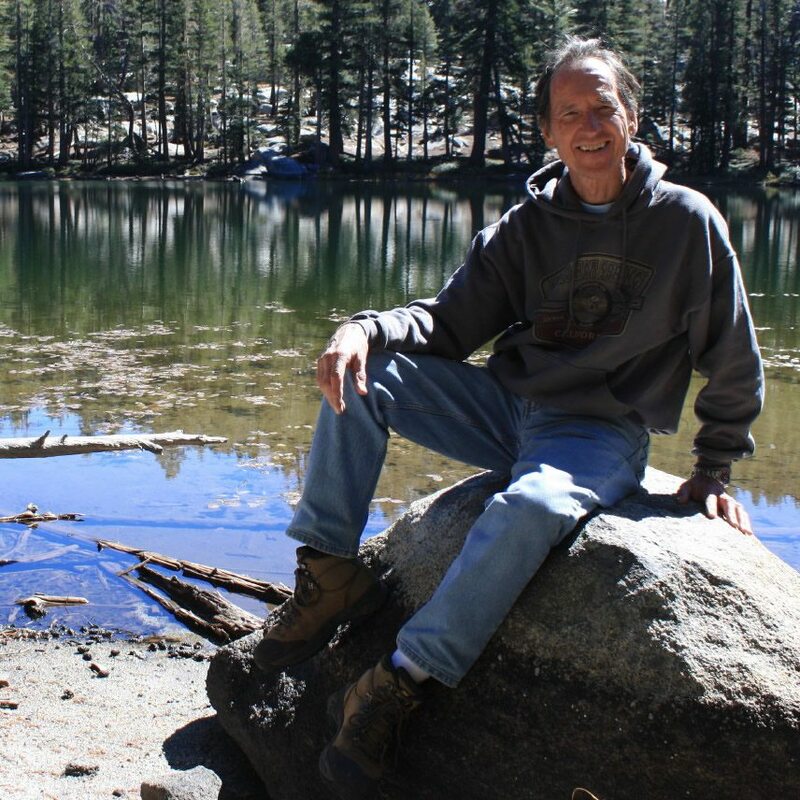 Tony has authored two books on hiking, and has made numerous slide-show presentations all over California.